Google's ongoing Cloud Next conference is a bit like I/O, but with a slant on building hype for corporate products rather than developer interest. In addition to the earlier announcement of a new 2FA hardware security key, Google is also expanding the services available in G Suite to include the much-loved Google Voice, while also tweaking how its Cloud Search and Drive services can work for businesses. The announcement landed earlier today at the start of the live show, and Google is pushing the AI benefits of the service businesses. In addition to the voicemail transcriptions consumer users have known and loved for years, Google also believes that it will ostensibly be able to increase phone call productivity—via some unsubscribed method. Spam filtering is also going to be present in the enterprise version. This enterprise version will also feature tight integration with other enterprise G Suite services, like Hangouts Meet and Google Calendar, with administrator-facing tools for easier deployment, phone number porting/provisioning, company directory synchronization, reports, and call routing. There's even an app—like the consumer version—for Android, iOS, and the web. Businesses will soon enjoy the same conveniences and benefits of separating phone numbers from devices. 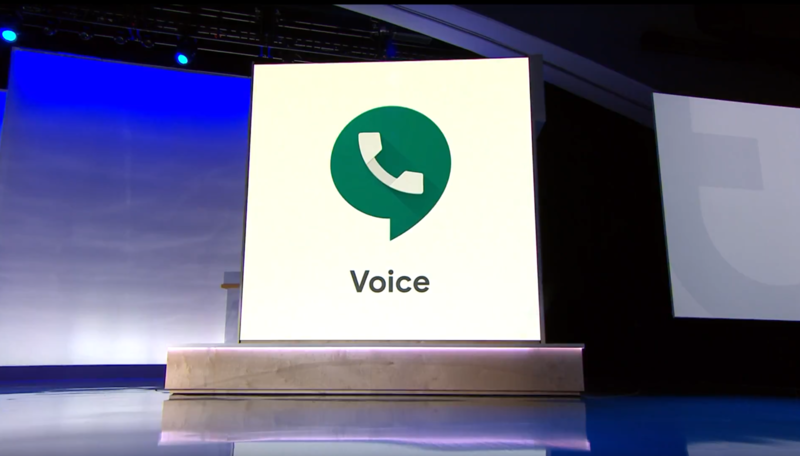 "Key customers" have been testing this new enterprise version of Google Voice since last October, but today Google has opened this service up for beta use by other G Suite enterprise subscribers. According to the associated blog announcement, Nielsen (of TV ratings fame) was among the companies that tried it out, and they noticed improvements in call reliability and quality compared to previous phone solutions. They were so impressed, they decided to switch to it entirely for remote work telephony. Interested businesses can sign up for the Google Voice EAP (Beta) Program to try out the magic of Voice for their own companies. Other, less exciting but still significant changes are also coming to G Suite, like the new expansion in Cloud Search functionality which allows businesses to index third-party data in with their G Suite information previously known as Springboard — Cloud Search was limited to G Suite data before this change. Businesses that aren't interested in the full G Suite package can also now make use of Drive as a standalone product called Drive Enterprise, with affordable usage-based pricing ($8 per user per month and $0.04 per GB). Those that try it out even get free access to other G Suite tools like Docs, Sheets, Slides, Forms, and Sites for no cost until the end of the year.